Linear perspective is a rendering technique used by fine artists to create the illusion of depth on a flat surface. 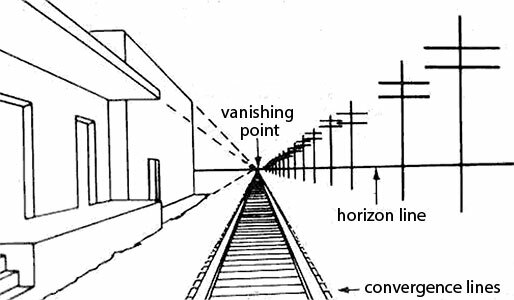 It is the most basic form of perspective in which parallel lines appear to converge in the distance at a vanishing point on the horizon line. (See illustration right.) The technique is based on how the human eye perceives the world around us. Meaning objects which are closer to the viewer appear larger, while more distant objects appear to be getting smaller as they move away. Linear perspective comes into play when orthogonal (parallel) lines that recede into the distance appear to get closer together as they converge at a vanishing point on the composition’s horizon line. There are three basic elements that must be present in a work of art in order to make linear perspective possible. These are a horizon line, a vanishing point, and convergence lines. If any one of these elements is missing, the illusion of depth is weak. Horizon line — The horizon line defines the farthest distance of the background and is the place where a central vanishing point is established. It is the level plane where the earth’s surface (or sea) and the sky appear to meet. 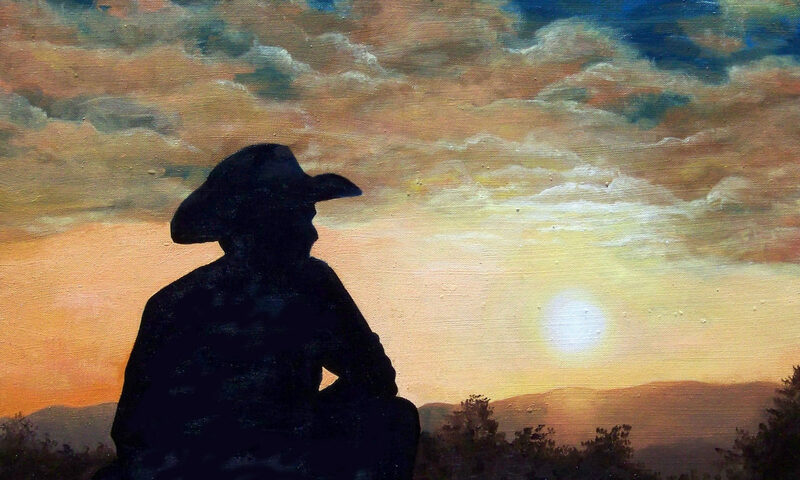 The line at the top of mountains or buildings is not the horizon line; these objects “rest” on the horizon line. The horizon line will ALWAYS be at eye level regardless of whether you are at ground level or standing on a mountain top. It changes as you change position. Sometimes hills, trees and buildings or other objects can hide it from view, but the horizon line will always be present. Convergence lines — Also called orthogonal lines, convergence lines are when sets of parallel lines appear to get closer together as they recede into the distance and meet at a single vanishing point. All parallel lines will eventually converge at a vanishing point. Sometimes they can even represent the edges of objects and some objects can have more than one set of parallels lines. An example of this would be a box or cube.  Depending on where it is viewed from, we can see one, two, or three sets of orthogonal lines. 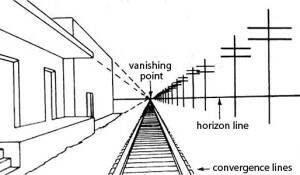 Vanishing point — The point on the horizon line where all parallel lines appear to recede and converge at is called the vanishing point. It is helpful to note more than one vanishing point can be present. This is called two-point and three-point perspective. When there are two sets of parallel lines that appear to converge, there will be two vanishing points. If there are three sets of parallel lines, then there will be three vanishing points. See The Rules of Perspective for more information. 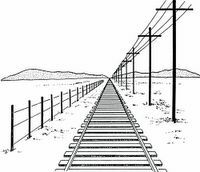 Create a rendering by drawing a straight highway or railroad tracks using a horizon line, vanishing point, and convergence lines. Use linear perspective to create depth in an illustration using a row of trees, a fence line, and/or telephone poles running alongside a road.